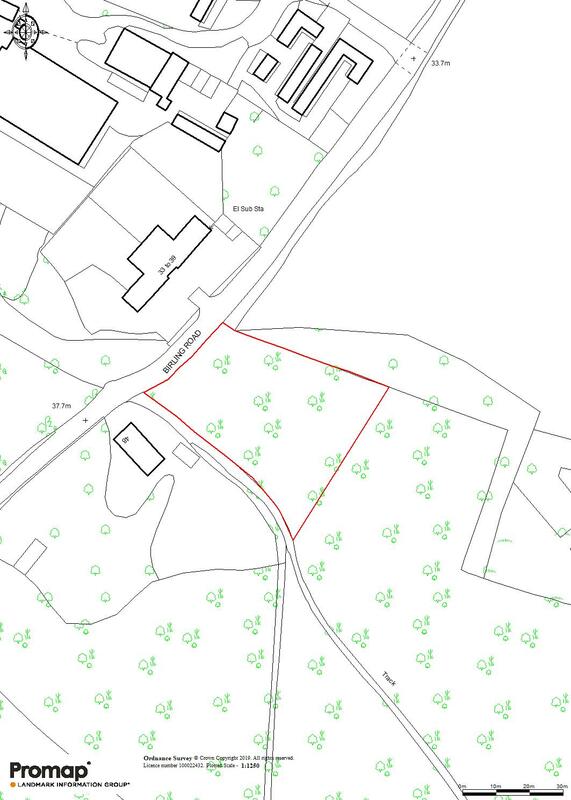 A block of woodland located near the residential area of Leybourne, extending to 0.6 acres (0.242 hectares). VIEWING: At any reasonable time during daylight hours having notified the selling agent Lambert & Foster’s Paddock Wood office on 01892 832 325. DIRECTIONS: From West Malling town centre, head north on the High Street towards Town Hill, before taking the second exit onto London Road/A20. Follow the A20 for approximately 0.4 miles before using the right hand lane to turn onto Ashton Way. Follow this as it becomes the A228 for approximately one mile before taking the first exit at the roundabout onto Ball Road and then turn immediately left onto Birling Road. The woodland is located approximately half a mile on the left hand side of the road. SITUATION: The land is located on the outskirts of the town of West Malling. West Malling has an extensive range of social, recreational and educational amenities including main line railway station with connections to central London in just under an hour. West Malling has convenient connections to the A228 which links to junction 4 of the M20. LOCAL AUTHORITY: Tonbridge & Malling Borough Council, Gibson Building, Gibson Drive, Kings Hill, West Malling, ME19 4LZ. Telephone 01732 844522. DESCRIPTION: A block of woodland totalling some 0.6 acres (0.242 hectares). Access to the land is off Birling Road. The woodland comprises a mature coppice and forms part of Leybourne Wood which is located to the north of the property, the woodland is located in a good location near the residential area of Leybourne and further, the town of West Malling. SERVICES: No services are connected to the land. FOOTPATHS: No footpaths cross the land. VACANT POSSESSION: Vacant possession on completion. ANTI MONEY LAUNDERING COMPLIANCE (AML): In accordance with Money Laundering Regulations, we are now required to obtain proof of identification for all vendors and purchasers. You will need to supply information required for us to complete our identification checks which will include your date of birth, main residential address and a colour copy of your passport or photo driving licence. Lambert & Foster apologise for any inconvenience this may cause, but it is a legal requirement. Unfortunately, Lambert & Foster will not be able to conclude a sale on your behalf to any person or people who are unable to provide confirmation of identification. Note: Lambert & Foster currently employs the services of Smartsearch to verify the identity and address of vendors/ purchasers.